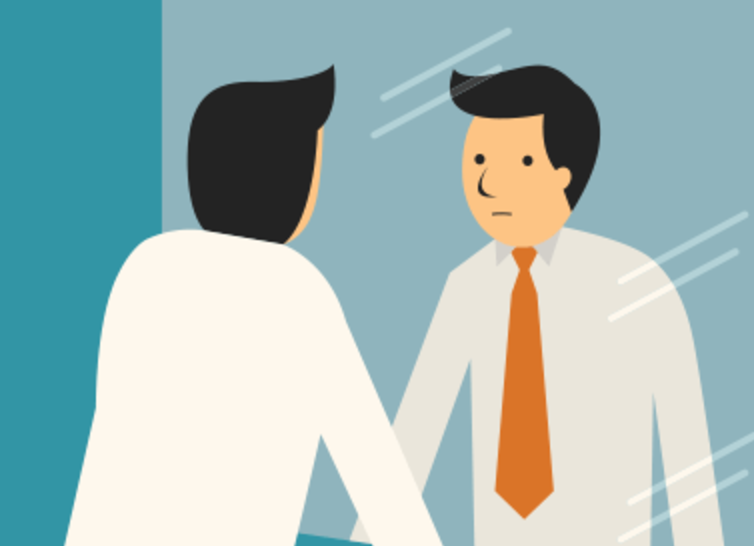 For many people, career reflection is not a priority, but done on a reactive basis, involuntarily, to an unexpected negative event. Sometimes a boss forces you to reflect on why something bad happened, by asking you to explain a failure at an upcoming meeting. Ugh. Reflecting on your work is the last thing you want to do in those circumstances. Particularly when there are sorrows to drown in any number of potential bars. The next morning, as the haze clears, you have goals to meet, targets to hit, talent to motivate, and even if you did see the theoretical value in “reflection time”, you probably couldn’t bring yourself to put those words on the shared calendar. I know how you feel, and as a career coach, I meet with countless people who have put off reflecting on their careers for years. Still, it catches up with you eventually, and reflection just gets more urgent and less fun, the longer it is ignored. People almost always come to me as a coach, actually, after a friend has referred them because something bad happened related to their work. Maybe they blew up at one of their colleagues. Maybe they couldn’t stop having panic attacks in the car on their commute home. Maybe they got fired. I call these crystallizing moments, where the symptoms of a lack of reflection finally show themselves. A person’s unhappiness has publicly manifested itself, and they either don’t know why, or often, they have come up with a Band-Aid of a rationale. I have to spend time removing the Band-Aid without ripping it too hard, and tending to the underlying wounds. The ironic thing about valuing reflection is that I myself haven’t come by the understanding of its importance, easily. Maybe I’m like a cobbler whose own children wear worn-out shoes. It took a couple of fairly serious ripped-off Band-Aids in my own career, before I realized I needed to work much harder at making reflection part of who I am as a professional. The truth is, I would much rather just develop management systems and crunch numbers than stare out of the window contemplating my career destiny. So I understand those who are skeptical about this. It’s about more than staring out of the window, though. Reflecting on your career isn’t a crunchy, granola, hippy-type idea. I’m not just saying: “let’s all hold hands and get in touch with our feelings”. Intentional career reflection results in a better return on investment from the time you spend at work. Only by knowing how you are feeling now, and why you are feeling that way, can you make strategic choices that let you chart your course to what’s next in your career. Absent this, you may find yourself traveling much further down the wrong road than you had intended. You’ll be better planned and self-aware, as you consider important work transitions. In situations where change comes suddenly, perhaps you lose a close relative or have to move cities because of a relationship, in either case you’ll be better able to make decisions based on your foundation of reflection. Give yourself a scheduled time to do this. Remember, there is a return on investment, so it is work, and like all other work, it only happens if you complete the tasks and stick to it. Find a physical location that works for you. I love trains, or any kind of public transport, for example, because I am a devoted multi-tasker and I have a sense I am achieving something just by being in transit. That means I can allow myself to switch off and zone out the right amount. Some people do yoga or meditation. I am not yet one of those people so I can’t be too prescriptive. It’s about getting yourself to that reflective place. It helps if you can turn of your wi-fi signal. Have a pen and paper and write “reflection time” at the top, before you start. You don’t have to write anything else down during the time, if you don’t want to, and particularly not if you’re doing yoga. Just start with some form of intention to capture your thoughts, at the end, when you’re done. You still didn’t turn off your wi-fi, did you? Capturing your thoughts matters because it’s very important, after you’re done, to share what you’ve reflected on with someone you trust. I think a lot of us do a great job of misleading ourselves about what we want and we need a check on that. How am I feeling about work? Did anything happen over the past couple of weeks that made me feel good or bad about work? Why did it make me feel that way? Am I feeling hopeful about work? What I will learn as I look ahead? How have I been treated that makes me feel confident? If I feel negative, why? What can I do? The pendulum swing. Picture your career as a series of moves, swinging one way to the next. When you’re unhappy, the tendency is to move a long way away from unhappiness, to the other side of the pendulum. Perhaps you work in a sales role, hate it, so you take a non-profit job. You react strongly. Ideally subsequent swings should be smaller with a lower arc as you come to understand that the tweaks in what works should be smaller. The math problem. Reflecting on your career is a bit like a math equation, where you decide what to add or subtract to get the right solution. After your last job ended, what did you add, and what did you subtract, to get to the next position? Ideally, we make different additions and subtractions and are able to get more specific about a good fit. Beware the difference between reflection and self-criticism. I don’t want you to end this exercise thinking of all the reasons you’re unhappy, or failing, or weak. You’re not ruminating. You’re reflecting. If things start to get cyclical and negative, and you’re not moving forward, then I’d encourage you to take a break. Consider the value of emphasizing the good things and removing those you don’t like. Beware stewing for too long in your reflective juices. That is to say: Once you’ve reflected, you have to actually do something. Find the right balance between acting too quickly and too slowly. My preference is for most people to act more quickly, however, once they’ve got to clarity. At this point I hope you have written “reflection time” on your to-do list for next week. If you pluck up the courage to put it on your public work calendar, that’s great! And if people ask why, tell them your work is too important to you for it to happen accidentally. Making a career change isn’t easy, even if you hate going to work every day. But you don’t have to take this step on your own. We can help. ClearlyNext is a guided online career program that helps you figure out what to do next. Making a change isn’t easy, but you don’t have to do it alone.